Tis the season to party isn't it? .. Actually there's never a specific season to party. Today I'm featuring 3 hot eyeliner pencils from the Bourjois Kohl & Contour range that can change a simple daytime eye makeup look to a "I'm about to hit the dancefloor" eye makeup look in a matter of seconds. 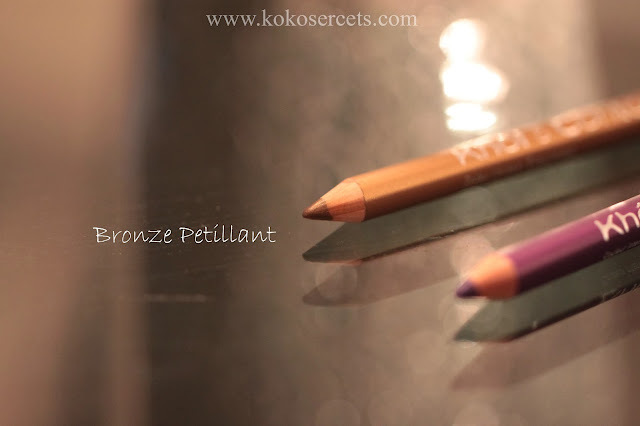 The Khol & Contour eyeliner pencils are soft, rich and creamy providing an intense colour. The colour is designed to last for up to 16 hours (hellooo!!). 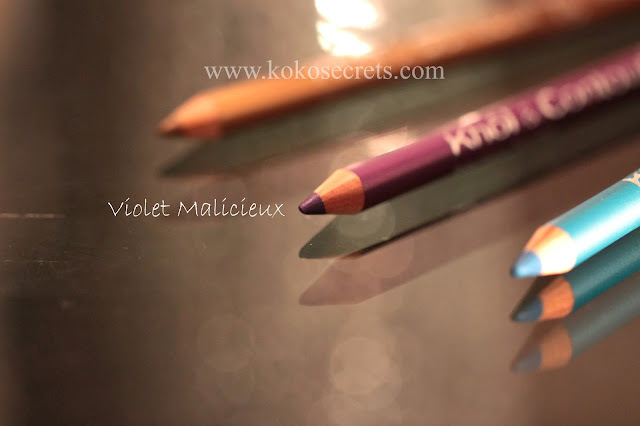 The eyeliner pencils are hypoallergenic and are formulated with natural wax and vitamin E ensuring that it's gentle on the eyes especially if you have sensitive eyes. I love using this shade in the corner of my eyes. The name is a little deceiving as it looks more golden that it does bronze. This is a gorgeous colour which I prefer using along my waterline. Another shade perfect for your waterline and on my upper lash line. 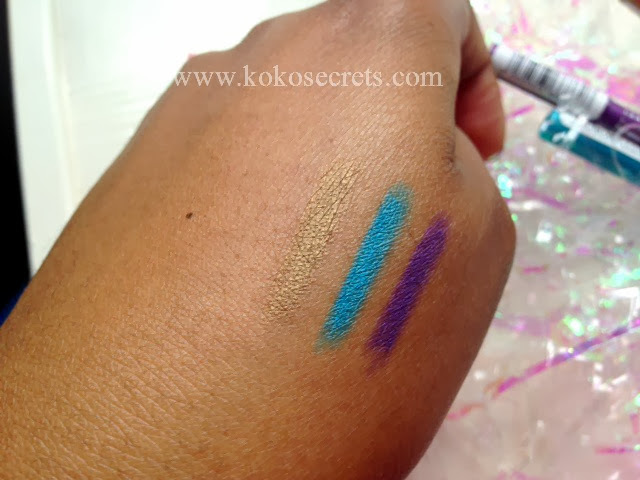 You can see how intense the colours are from the swatches below. I literally only used one stroke. 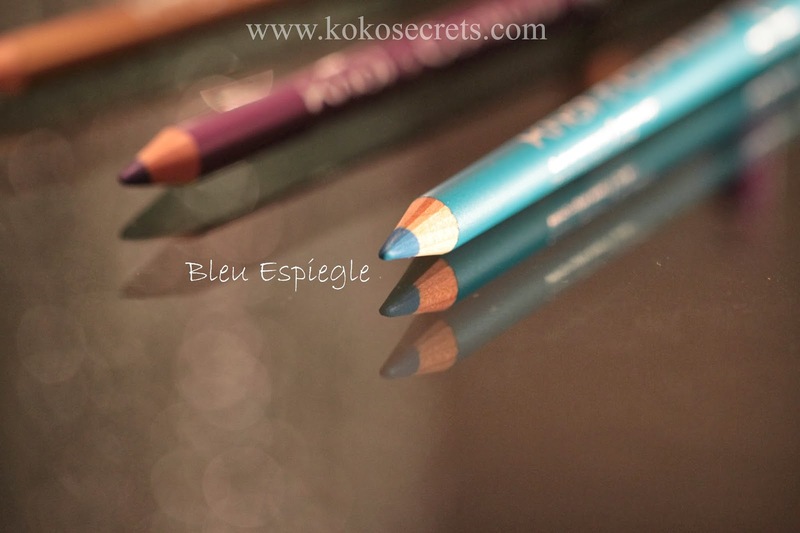 The colours are blendable and I've also used these eyeliner pencils as creamy eyeshadows. That's how rich they are! So did the colour last for 16 hours? I didn't have it on for that long but I know that for the 7 or so hours I did have it on for, I didn't need to reapply. So I do think it could easily last that long. Unless of course you have extremely oily skin or your eyes tend to water a lot. 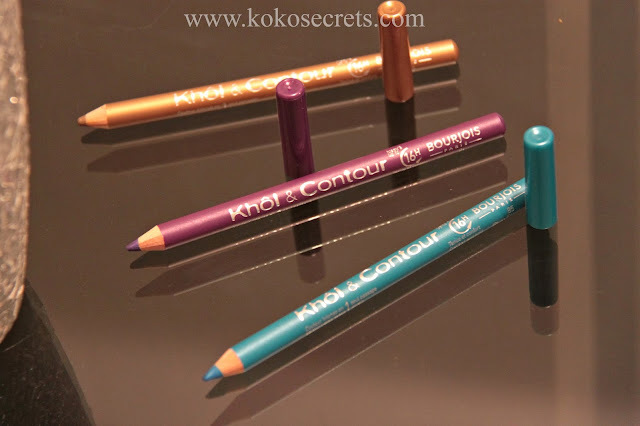 These Khol & Contour eyeliner pencils retail at around £4.99. 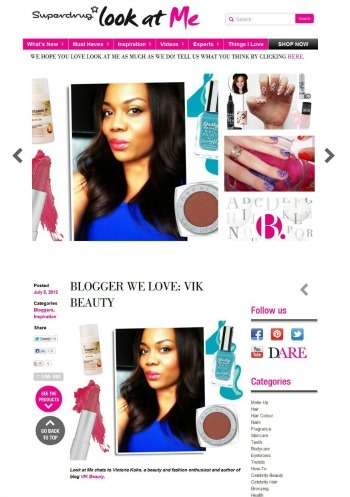 You can still pick up these shades from Superdrug. Boots do not seem to stock these shades any longer. I think the eyeliners are very good value for money. There are more colours in the range which you should definitely try out if you're looking for a rich, creamy affordable eyeliner pencil. What do you think of the colours? 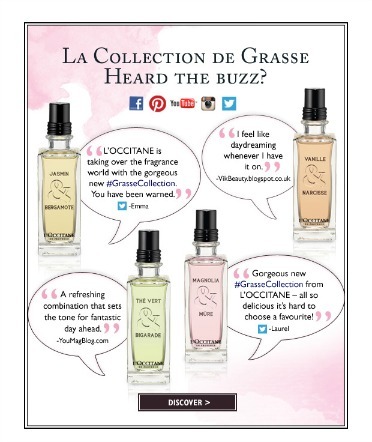 What is your favourite Bourjois product?